What qualities make a producer stand out? Nowadays there are often more (so-called) producers named on a theatre poster than there are actors in the show: Dear Evan Hansen, the biggest new hit musical of the Broadway season so far, has a cast of eight, and 31 billed producers. When Dirty Rotten Scoundrels opened on Broadway in 2005, there were 22 billed producers. Even the show itself noted things were getting out of hand, adding to the end of the producers’ credits “and the Entire Prussian Army”. But most of these producers are really only financial investors, not decision makers or creative partners in the development of the show, which is what being a producer is really about. It is still the ‘lead’ producer that initiates and leads a project in the commercial arena, to box office success (sometimes) or failure (usually). It is said that only one in five shows recoups on Broadway and the figures are similarly poor in the West End. 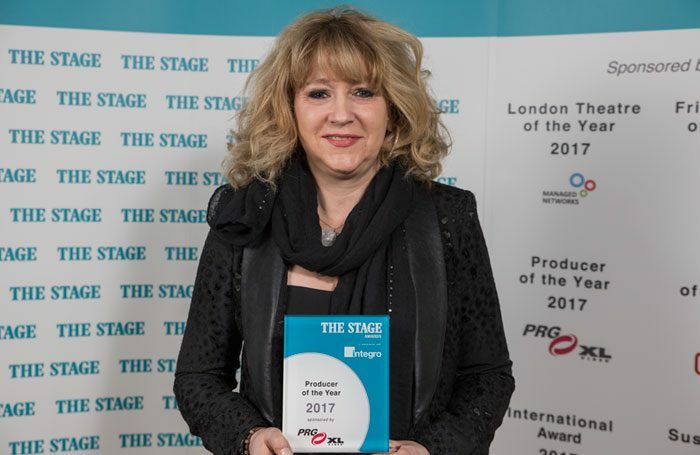 Last week Sonia Friedman, who already topped The Stage 100 list this year, was named producer of the year inThe Stage Awards, a title she won for the third year running. It’s hardly surprising that she scooped this award after a year in which, together with Colin Callender, she shepherded Harry Potter and the Cursed Child to the West End, which in terms of the sheer demand it has generated is the biggest theatre hit of the century so far. But what is it that makes her a great producer? The first thing to say is obvious: her name is not just above the title but also on the door of her office and in the company’s name, identity and DNA. In a world of increasingly corporate producing, where corporations from Disney to Warner Brothers have turned into theatre producers to exploit their back catalogues, the independent producer has long stood above the fray. Friedman may be sponsored by a theatrical corporation – she is a subsidiary of the Ambassador Theatre Group, which means she’s a major provider of product for ATG theatres from the West End to Broadway now – but it is above all her own taste, passions and relationships that have made the company what it is. The same is true of all the great producers of the past, from such greats on Broadway as Florenz Ziegfeld and David Merrick, to West End legends like Binkie Beaumont, Harold Fielding, Duncan Weldon and Michael Codron, and the still-prolific Cameron Mackintosh, Andrew Lloyd Webber and Bill Kenwright, that have variously changed the face of the West End and indeed world theatre. What they have all done is created a body of work that has become part of the established repertoire. The late Merrick, whose final hit 42nd Street coincidentally returns to the West End next month – just as his early hit Hello, Dolly! also returns to Broadway this spring in a new production starring Bette Midler – was also responsible for such shows as Promises, Promises (being revived at Southwark Playhouse) and the Broadway transfers of Stoppard’s Travesties and Rosencrantz and Guildenstern Are Dead (both returning to London this year). 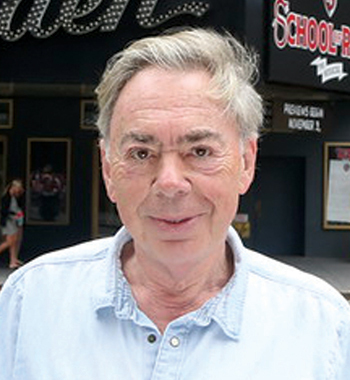 Lloyd Webber, of course, is a creator as well as a producer, but as of tonight (February 2) he’ll once again have four musicals running simultaneously on Broadway with the return of Sunset Boulevard, joining the current revival of Cats and two more shows he has also written and co-produced, The Phantom of the Opera and School of Rock. Meanwhile, his Phantom co-producer Mackintosh is also taking his new production of Miss Saigon to Broadway in March. Since they first joined forces to work on the original production of Cats in 1981, Lloyd Webber and Mackintosh have, both together and separately, created the global musical. They have produced shows that have played across the world and have led to other producers following in their footsteps with the likes of Mamma Mia!, Wicked, Jersey Boys and Matilda that have had global roll-outs too. A great producer innovates, as they did, to forge new markets; but Mackintosh also hit on a process early on to collaborate with the best people working in the subsidised sector (with Cats directed by Trevor Nunn, then artistic director at the Royal Shakespeare Company, and designed by long-time collaborator John Napier), and sometimes (as with Les Miserables) using the subsidised platform to launch the show. It is no accident, in turn, that Friedman’s production of Harry Potter has been created by such practitioners as John Tiffany, Jack Thorne and Steven Hoggett. In recent years the role of producer has evolved, and now subsidised venues routinely have people billed as producers on their payroll charged with nurturing new productions to the stage. The National, RSC and Barbican have teams of producers working behind the scenes to realise projects; they’ve adopted the experience of commercial producers to become producers in their own right. Indeed, the NT is also the commercial producer for the future life of its own productions such as War Horse and The Curious Incident of the Dog in the Night-time, instead of licensing them to independents to commercially exploit. And plenty of West End producers, too, duly take their own projects to subsidised theatres to see them launched. Just last week the National announced a new stage version of the Oscar-winning film Network that will be adapted by Lee Hall, and was commissioned and will be produced at the NT in association with Patrick Myles, David Luff, Ros Povey and Lee Menzies. Playful Productions launched the stage version of Wolf Hall that it had commissioned with the RSC at Stratford-upon-Avon, before moving it to the West End and then Broadway. And Friedman launched Sunny Afternoon, her musical based on the catalogue of Ray Davies and the Kinks, at Hampstead, before transferring it to the West End, just as she will soon be premiering Jez Butterworth’s new play The Ferryman at London’s Royal Court. 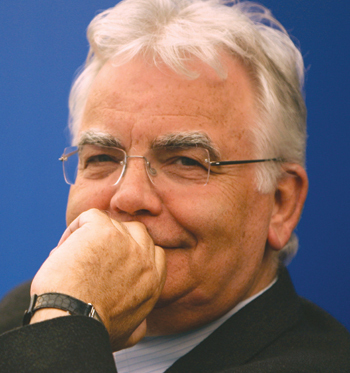 Producers are now seeing themselves as a bridge between the subsidised sector and the commercial one they operate in. And it’s hardly a surprise, as many of them began their careers in the former. 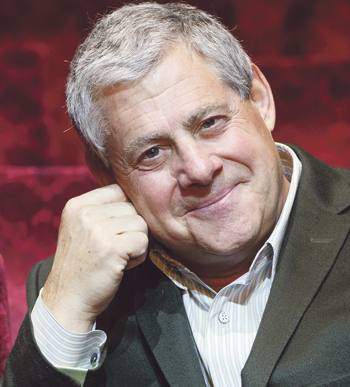 Friedman, for instance, was a stage manager at the National, and then co-founded the touring company Out of Joint with director Max Stafford-Clark. Now she is the West End’s most important producer, bar none, straddling the worlds of straight plays and big-budget musicals with equal facility. With her production of Harry Potter and the Cursed Child, the bigger achievement wasn’t just that the show sold tickets – the title alone did that, before it even went into rehearsal – but in terms of how brilliant it turned out to be. As I wrote in my review for The Stage, the play “is no cynical attempt to cash in on one of the most successful literary franchises of all time. It has real integrity and, crucially, could prove to be one of the most influential and important theatre works of the century, introducing whole new generations of people to the joys of theatre”. Friedman’s achievement on Harry Potter is all the more astonishing for the fact that it is just one of 15 shows she produced last year. She’s hardly slowing down in 2017 either: while Harry Potter will inevitably be rolled out as a global franchise, starting with Broadway in 2018, tonight (February 2) she’s transferring the 2013 John Tiffany production of The Glass Menagerie to the West End’s Duke of York’s. This is among a slate of productions this month that will see her transfer Stoppard’s Travesties from the Menier to the Apollo (previewing from February 3) and launch a new production of Edward Albee’s Who’s Afraid of Virginia Woolf? at the Harold Pinter Theatre (from February 22), starring Imelda Staunton, Conleth Hill, Luke Treadaway and Imogen Poots. Her influence spreads far beyond London, too: she’s also got the Menier Chocolate Factory originated production of Funny Girl going out on tour, with Sheridan Smith reprising her performance in the title role at some dates, launching at Manchester’s Palace from February 18. Friedman has truly inherited the mantle of the great producers, whose taste, commercial instincts and innovations have kept the West End thriving for the past century.